One of the first things I noticed driving around the island were signs protesting different things. People had painted enough of them that I started wanting to know what was going on. At first as an outsider I didn’t want to intrude but I noticed a petition in a cafe and discovered that people LOVE talking about what is going on around the island. An older issue but the signs remain. Moloka’i Ranch of Maunaloa fame wanted to re-zone land at La’au Point for luxury homes. Not only is the area spiritually significant but residents were concerned about the environmental impact. 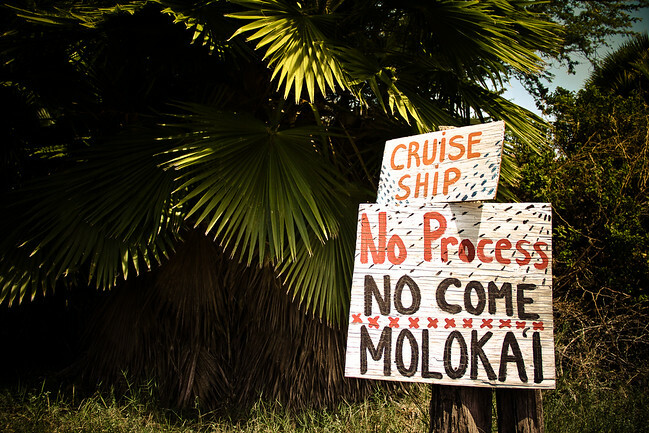 Moloka’i is not a commercialized island and when residents heard what was happening they took action and protested. According to some the environmental assessment was incorrect and so far the development has been rejected. There is so much momentum against this development I don’t think it will ever pass. This was a confusing web to untangle as the signs made it look as if the community hadn’t agreed to it. But after some digging I learned the cruise ship was really a 34-person yacht that stop in Moloka’i and its visitors stay a few days to tour the island. At one point a protest stopped the people from disembarking the yacht but today it has been permitted as people have lost interest in protesting on site. I guess you win some you lose some. The residents are concerned there haven’t been adequate environmental assessments. But the biggest argument is that all of the energy will go to Oahu and there is no economic benefit for the island. They see it as a David vs. Goliath story as they battle big business and the government. This one seems to be gaining support as I have seen many signs and a website dedicated to it. But what is most interesting is that Moloka’i has a high unemployment rate and many people need to take a ferry to Maui to work. Despite the promise of jobs that commercialization of the island would bring, the community has a strong desire to keep their lifestyle as is. That doesn’t mean they don’t want tourists, they were all happy to see me. They just don’t want tourism to change their lifestyle. Moloka’i is small and feisty – just like me. Disclosure: Moloka’i Visitors Bureau hosted me during my visit, but all opinions remain my own. They did not ask for favourable reviews or that I take so many photos of the protest signs. Hawaiians are very protective of their islands and deserve to be, Hawaii is truly a beautiful place to live. I understand their fear and resistance to change when what they have now is so beautiful. A very interesting read, you don’t see enough of these posts around! 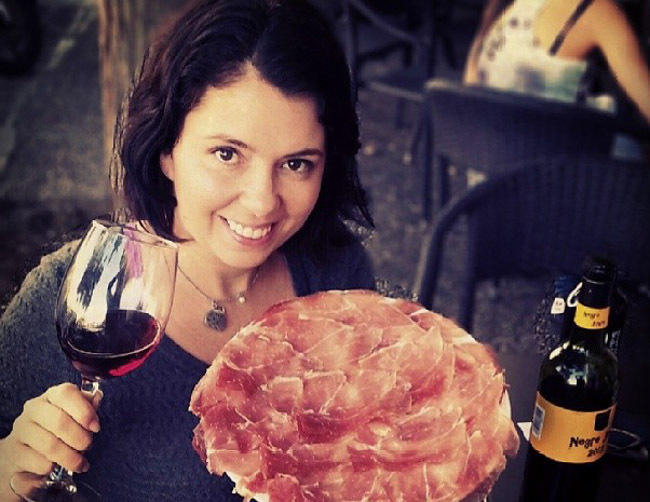 It is a quite a widespread misconception that the travel industry only has positive influences on a community but as with any industries it has it’s complications. Because I’m quite wet behind the ears, I’ve only just recently realized the importance of being environmentally conscious when travelling. Live and learn hey! It is definitely something that has been more on my mind as I travel, ensuring that my enjoyment of a place isn’t at the detriment to the community. It is always interesting to learn the history behind protest movements in a new place, especially when you start to unravel the multiple sides of the story. Gives some insight into the culture and their values. I really cannot blame them if they are firm with their beliefs. It’s their island anyway. Although I know that such construction and developments will open a lot of jobs for the locals, I still have fixed feelings about these types of issues. Right or wrong I really do respect people who hold firm to their beliefs even if it has financial repercussions. It’s great to see a community join together to protect their home. And that they are looking beyond the short term of jobs to the long term impact on their small, rather pristine island. They are definitely looking at things with a long-term view and not risking change for a short-term benefit. These are some tough issues, I guess it’s really a balance about having jobs and locals making a living yet not turning things into another Waikiki. I hope Moloka’i keeps fighting and wins these battles! It is really interesting to see the island as a local and cool that locals want visitors to know what their zoning issues are. I think every city deals with it at some point and sees how it can affect their development, in both a negative and positive manner. Love this post. I really love seeing people who are passionate enough to stand up for what they believe in. 🙂 Unfortunately I don’t think the British really have it in them to do that so it’s been wonderful getting to explore countries that do. I know they lost the cruise ship battle but it will be interesting to see how the wind turbines pans out. I’ve often heard that Moloka’i was the least developed and least touristy of the islands. I hope they can find the right balance so that there are more employment opportunities to come for the people who live there. It will be interesting to compare with Lana’i which has the three resorts but is a much smaller island and may balance the need for tourism without becoming like Oahu. They seem a bit cranky…! There’s a line between cranky and fiesty – I like to think they are on the fiesty side. The residents in my hometown are also protesting against wind turbines. There are similar signs all over the place. When I first moved there, it was mostly just alphalpha fields and dairies. Now it’s completely unrecognizable! This is to be expected near LA, but I’m sad to see it in paradise. I think there is a place for wind energy but the problem here is that they have the inconvenience of the turbines and no benefit from them whatsoever. I always feel a connection to places that have a strong fighting spirit. Protest and advocacy work are so important, but unfortunately aren’t really valued much. I feel the same way, it is what drew me to Latin America and I am starting to feel the same way about Maui County. 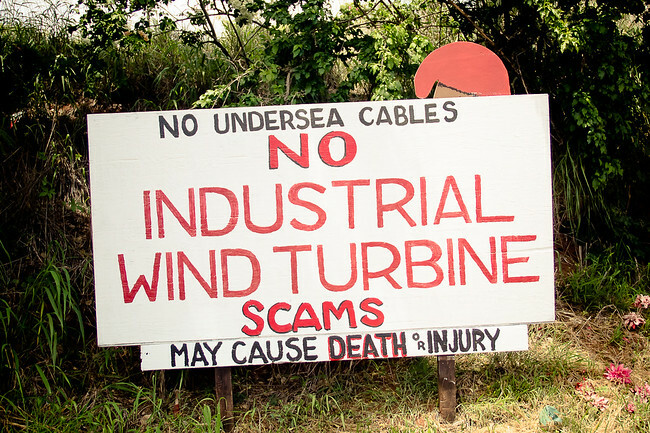 The biggest issue I see here is that at least the turbines on Maui benefit Maui but there’s nothing to benefit Moloka’i here which is completely unfair. I love it! The community seems organized enough to take a stance and have their voices heard. It’s nice that it is still open to tourism while preserving the environment and their way of life. The area with the windmills is privately owned, I asked a guy at a restaurant how they would stop the windmills and he said – they have to build them don’t they? That being said, I try to understand their desire to keep things the same. That is really interesting I didn’t see that sign. I think there is always a flip side in tourist areas, people want the money but don’t necessarily want tourists around. Everyone I have met has been wonderful so far, I hope it stays that way. Similar signs and sentiments can be found on Oahu, too, especially up on the North Shore. 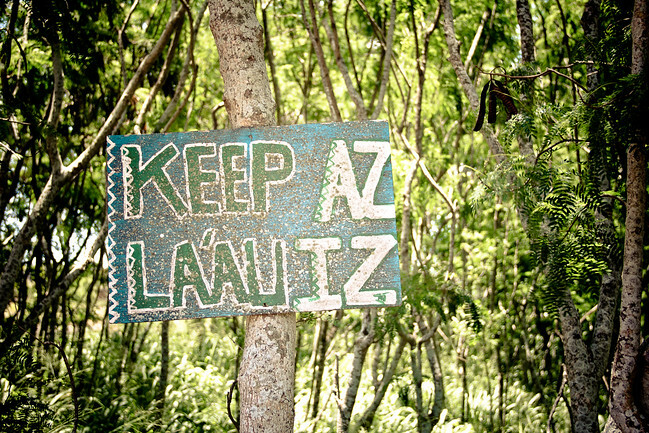 They are fighting to keep the natural areas natural, too, and to keep the luxury resorts out. It’s great that they care so much about their island. Too many places get overrun by corporations and pollution. Thanks for giving us insight into life at Molokai. Seems this is a real, every day working community that really cares about where they live. Not exactly the image of Hawaii many people have but kudos to them for standing up for their way of life.